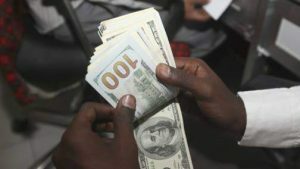 The United Nations’ International Fund for Agricultural Development (IFAD) says remittances to the Caribbean and other countries are much more than a “lifeline” for millions of people. IFAD said the direct benefits of money sent home by migrant workers touch the lives of one in every seven individuals on the planet — over one billion people. “Remittances are vital for millions of families, helping them to address their own development goals, but we can help them do more and build their longer-term future,” said IFAD President Gilbert Houngbo. Last year IFAD said 200 million migrants sent US$481 billion to remittances-reliant countries. Of this amount, it said US$466 billion went to developing countries, including those in the Caribbean, adding that there are estimates that, between 2015 and 2030, remittances sent to developing countries could cross US$6.5 trillion. According to IFAD, after spending remittances on basic needs such as food, housing, education and health, a sizable amount — over U$100 billion — still remains, presenting a large pool of resources which can then be invested in financial and tangible assets, such as savings or small business development, that help families build their future. IFAD said “these productive activities can also create jobs and transform economies, in particular in rural areas”. “Given appropriate investment options customised to their circumstances and goals, remittance families will invest more and become agents of change in their communities,” Houngbo urged. The IFAD president’s call comes against the backdrop of the recent designation, by the UN General Assembly, of June 16 as the International Day of Family Remittances, originally created by the IFAD Governing Council. Proclaiming the International Day, the General Assembly also recognised the “transformative impact” of remittances, including those from migrants, for the implementation of the UN’s Sustainable Development Goals and in supporting long-term development strategies.